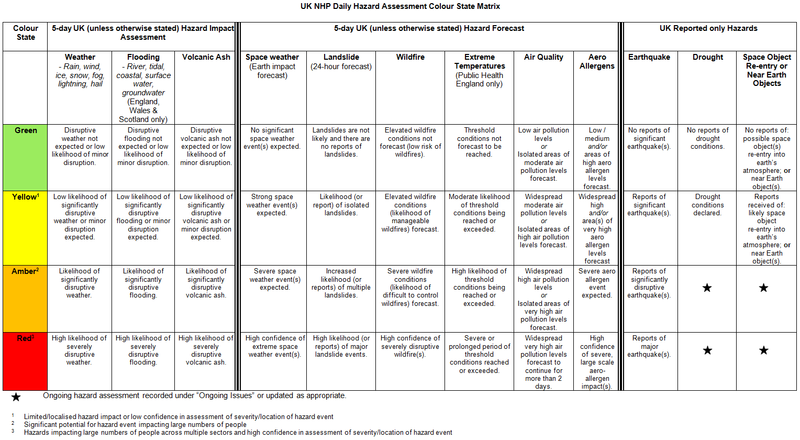 The Hazard Matrix is used in the Daily Hazard Assessment to assess 12 hazards with hazard forecasts up to 5 days. The Hazard Matrix colours are consistent across all natural hazards resulting in a consistent message for impact assessment. It also allows for hazards to be compared based on likelihood and potential impacts.